Electronic mortgages have the potential to save homebuyers time, money and untold frustration dealing with stacks of bewildering paperwork — but for now they are the exception, not the norm. Real estate startup Pre Approve Me LLC hopes to relieve some of that stress by offering a mobile application for the very beginning of the loan process: the preapproval letter. Most serious homebuyers need one, both to get an idea of how much they can afford and to boost their credibility with sellers. But there is a problem with preapproval letters that buyers may not realize: Until a buyer decides on a particular home, a lender can give only a ballpark figure of what that buyer can afford because of property-specific variables such as debt-to-income ratio and property taxes. That leads to buyers shopping for homes they can’t really afford, and overlooking others that they mistakenly think are outside of their price range, said Michael Neef, founder of West Linn, Oregon-based Pre Approve Me. For instance, a buyer could qualify for a $300,000 home, but later it turns out the property taxes for their dream home at that price are too high. Or conversely, they might have written off a $315,000 home with very low taxes. So Neef, who is also branch manager at American Pacific Mortgage, created Pre Approve Me App, a mobile app compatible with iOS and Android smartphones. The app is free for agents and homebuyers, while loan officers pay a $50 monthly subscription fee after a 15-day free trial. Since the app’s December 2013 launch, more than 600 lenders and 800 real estate agents have signed up, the company says. The ability to integrate lenders, agents and buyers on one platform makes for a “much more transparent, convenient, green, and stress-free loan and homebuying process,” said Amanda Ellis Stein, spokeswoman for Pre Approve Me. Here’s how it works: A buyer’s loan officer or real estate agent invites the buyer to the app. 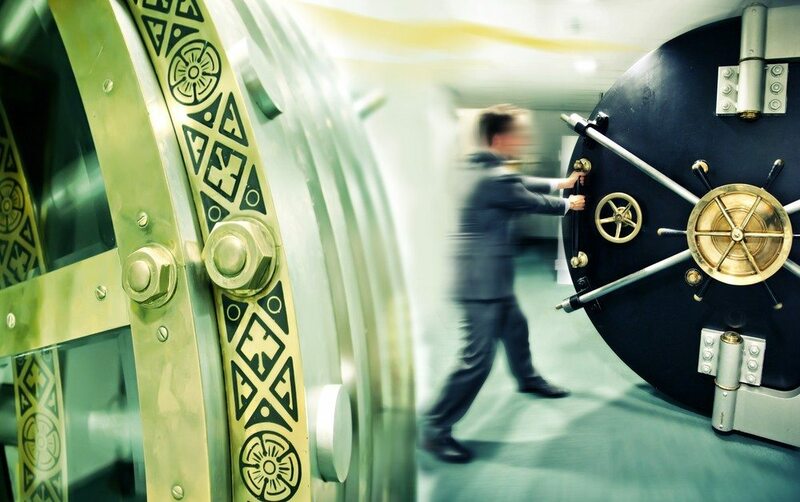 If it’s the loan officer, he or she has already set up the buyer’s profile and included the relevant financial information that the buyer needs to shop responsibly, such as the buyer’s verified income and debts, as well as details for specific loan programs such as front- and back-end ratios and interest rates. Buyers or their agents then enter details for homes they are interested in, such as price, down payment amount, property taxes and homeowners association fees. With a single touch, they can then instantly find out whether they are preapproved for a specific property and, if they are, send themselves the preapproval letter via email to quickly write up an offer. “We are the first app that does anything regarding clarity of price — what clients can afford,” Neef said. Showing a client a house they can’t afford and have them imagine themselves in it only to find out on Monday morning that they don’t qualify is “just devastating,” he said. 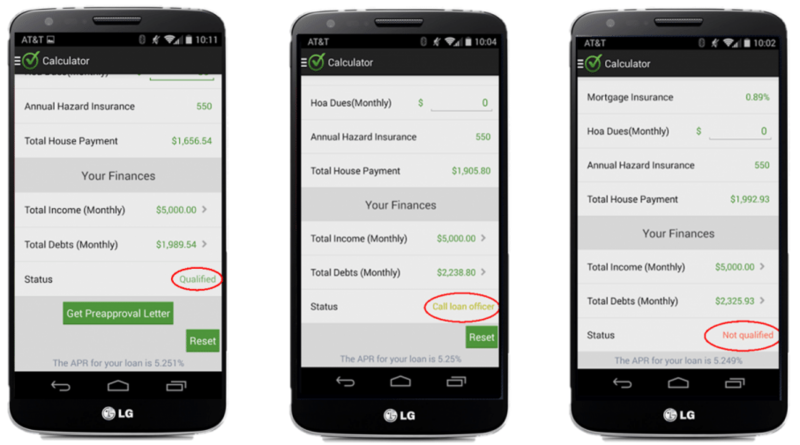 Agents can use the app without being tied to one loan officer. But if there is no loan officer involved at all, agents by themselves cannot generate preapproval letters. They can enter financial information for their buyers and use a mortgage calculator to see how much of a home their clients can afford, but without verification and customization from a loan officer, the calculator uses a “very generic” set of rules for whether or not they qualify, Neef said. The app also allows homebuyers to take photos of documents necessary for their loan application with their smartphone and to send them to their loan officer directly from their phone. After sending their document photos, the app will let the buyers know whether that particular condition has been satisfied. If not, buyers have the option of uploading the document via Google Drive or Dropbox. “We are also the only mobile technology that allows for the tracking and time-stamping of conditions,” Neef said. A loan “thermometer” lets buyers know where they are in the loan process, and the app sends push notifications and emails to buyers, the buyer’s agent, the listing agent and the loan officer when new loan milestones have been reached. Buyers also have the option of sharing their loan status on Facebook from the app. 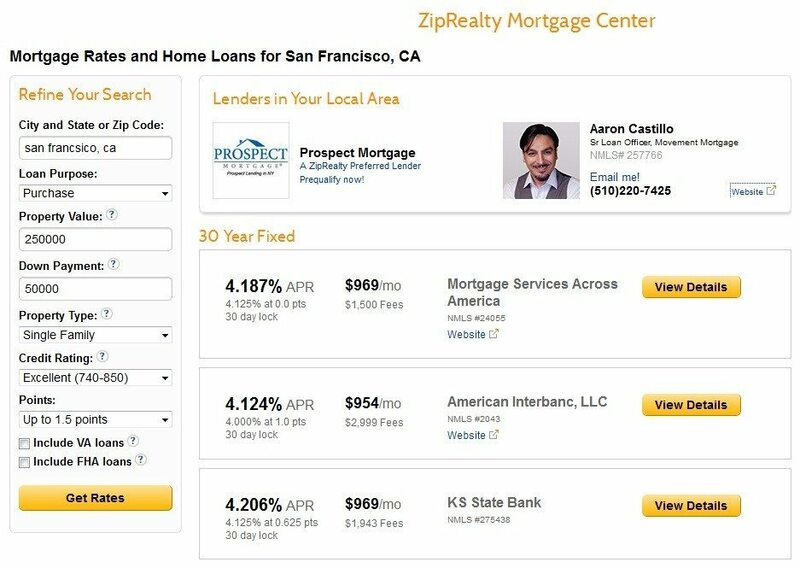 Agents and loan officers are co-listed on a “Contact” tab. If a broker, agent or loan officer would like to “white label” the app with their branding colors and logo, there are additional fees. “This app has improved my buyers’ comfort levels, speeds up the loan process and ensures that I never show them homes that are unrealistic in price,” said Anthony Castro, owner of The Broker Network Realty, in a statement. In the third quarter, Pre Approve Me plans to optimize the app for tablets and add the ability for buyers to download the app and use it without being attached to a real estate agent or loan officer. The latter feature will help homebuyers get a good education about the home loan process without being tied to a professional and is part of Pre Approve Me’s goal “to make the homebuying process easy and fun again,” Neef said. “No one enters the homebuying process with the idea of a home loan. No one dreams about a great rate. They dream about the house,” he said. Even if not attached initially, however, consumers will soon be able to use the app to find an agent or loan officer in Pre Approve Me’s network or invite one they already know to use the app. “The way we’ve designed the system, it will operate almost like a social network,” Neef said.